Thai authorities have hinted that Bangkok, one of the major tourist destinations in the country, may be the target of some terrorist groups. The report comes following attacks in August which left several dead, including holiday-makers. Information that an armed group was plotting an attack in a province near the Thai capital was released by Thawip Netniyom, chief of Thailand’s National Security Council, on Tuesday. “Why target Bangkok? They [the attackers] probably want to make an impact,” Netniyom said, as cited by Thai media. Netniyom, however, did not release details on the group which was allegedly planning the attack. 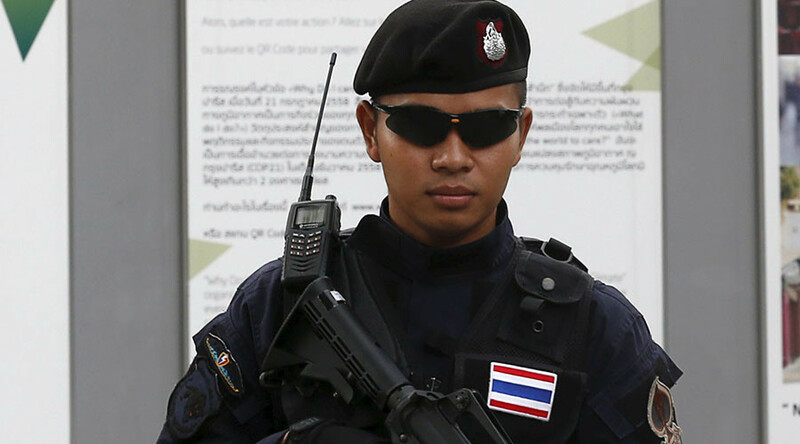 Thai Police also said they were on high alert in the capital. “I have ordered all police under my supervision in the area around Bangkok to monitor news, investigate and gather intelligence on groups who could come in and cause trouble,” said Police Lieutenant General Charnthep Sesawet, acting chief of Provincial Police Region 1. Thailand was rocked by a series of bomb blasts in August. At least one person was killed and 23 more injured, including foreign tourists, after two explosions rocked the tourist hotspot of Hua Hin. British, German, Dutch, Austrian, and Italian citizens were among the victims. There was also a string of explosions in the Thai resort towns of Surat Thani province. At least four people were killed and many injured in the new spate of violence. One explosive device was defused by police in Phuket. A suspected car bomb went off outside a small hotel in the coastal resort town of Pattani in Thailand, near the Malaysian border. At least one person was killed and 30 injured. Pattani itself has been a frequent target of terrorist attacks in the past several months, including eight simultaneous blasts that shook the city in July. One of the deadliest bombings took place in Bangkok’s Erawan Shrine in August 2015. The explosion took the lives of at least 20 people and injured 100 more. The majority of the victims were tourists visiting the shrine.